Cooper’s Bridging Multiple Worlds theory brings together insights from psychology, anthropology, education, and sociology. Cooper will give a reading at the Bay Tree Bookstore at noon on April 29.
Cooper, founding director of the doctoral program in developmental psychology at UCSC, is the author of Bridging Multiple Worlds: Cultures, Identities, and Pathways to College (Oxford University Press, 2011). Following book signing events earlier this month at professional gatherings in Montreal and New Orleans, she will give a reading at the Bay Tree Bookstore on the UCSC campus at noon on April 29. The work that culminated in the book began with a collaboration 30 years ago in Texas and draws on an ongoing set of collaborations that extend across California to Hawaii, Australia, and Israel. 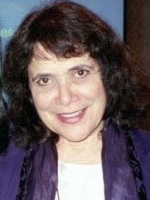 Cooper developed much of the material in the book with graduate students and colleagues, while teaching an undergraduate class at UC Santa Cruz called "Cultural Perspectives on Adolescence." 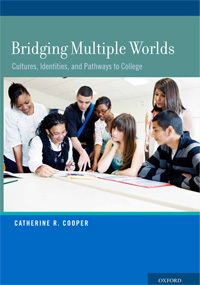 Based on new evidence from a wide variety of cultural communities, Cooper’s Bridging Multiple Worlds theory also brings together insights from psychology, anthropology, education, and sociology to understand how individuals, families, and institutions can open educational opportunities from preschool through college. In addition to this new theoretical framework, the book provides practical tools for partnerships among researchers, educators, families, and students themselves. "Under what conditions do these students succeed? That is the focus of this book,” she said. "It is crucial to understand what works." Cooper is the director of the Bridging Multiple Worlds Alliance, a network of researchers, educators, and policymakers who focus on understanding how culturally diverse young people build their pathways through school. BMWA helps youth build pathways to college while improving practice and advancing knowledge, in collaboration with alliance partners and youth themselves. In a local collaboration that is part of this network, Cooper has worked for the past 15 years with Elizabeth Domínguez, Director of the Cabrillo Advancement Program (CAP) at Cabrillo Community College. CAP helps low-income middle and high school students succeed in school and attend college. It celebrated its 20-year anniversary last month. With CAP students participating as researchers, the CAP-UCSC partnership maps their resources, challenges, and pathways from the time youth enter the program at age 12 into early adulthood. These activities help students and help the program link its services to student learning. All royalties from sales of Bridging Multiple Worlds are being given to a fund that provides college scholarships for culturally diverse youth.